With personalized service, affordable prices, and outstanding results, Affordable Fencing Company is Murrieta's best source for custom fences, gates, gate arches, arbors, patio covers, and gazebos. We have more than three decades of experience designing, building, and installing fences and other outdoor structures and have earned more than 100,000 satisfied clients throughout Southern California. As a result, we've cultivated a reputation for expert recommendations, skilled craftsmanship, and unbeatable value among homeowners, homeowner associations, and businesses alike. As a full-service fencing contractor, Affordable Fencing Company excels in all aspects of fence construction, including design, fabrication, and installation. Our Murrieta clients can come to us for all of their fencing needs, whether they are looking for a custom-built vinyl, aluminum, wood, glass, or chain link fence and/or gate. 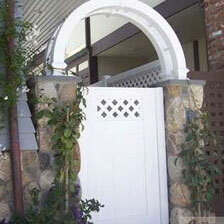 Additionally, we can build and install vinyl arbors, gazebos, gate arches, patio covers, and lattices. These fences, gates, and related structures come in a wide range of functional yet aesthetically-pleasing styles, with the ability to customize them so they complement the look of your property. Call Affordable Fencing Company today and schedule a free estimate. We are licensed, bonded, and insured, and familiar with all applicable building codes in Murrieta. Vinyl fencing is one of the most requested fencing types among Murrieta homeowners, businesses, and HOAs, because of its many benefits: It's attractive, low maintenance, and durable. Moreover, it can look very similar to wood, but lasts decades longer--making it also very economical. Vinyl (also referred to as PVC or polyvinyl) is available in white, almond, gray, and adobe colors, as well as wood grain and smooth finishes. Our vinyl fencing is made to resist warping, splitting, shrinking, peeling, rotting, blistering, and flaking, and is backed by a 50-year transferable warranty, which guarantees that your vinyl fence will be free of manufacturer defects. 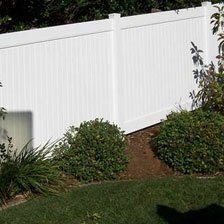 Call today to have Affordable Fencing Company install a vinyl fence on your Murrieta property. 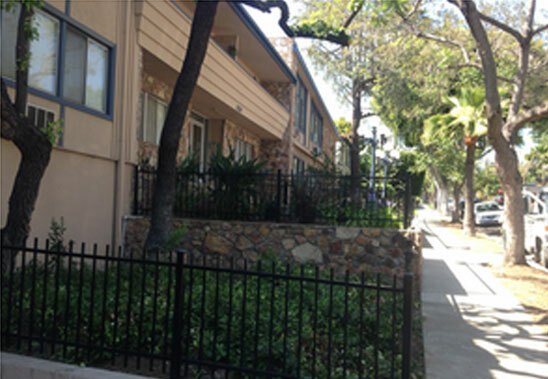 At Affordable Fencing Company, we have helped thousands of clients in Murrieta and beyond get the aluminum fence and gate that best suits their aesthetic preferences, functional needs, budget, and climate. We maintain an excellent reputation because we always deliver lasting construction and installations. 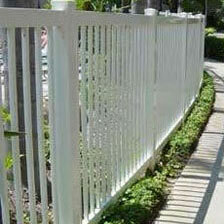 Our aluminum fencing comes in either flat or spear top and one of five colors (black, white, bronze, green, or tan). Aluminum fences and gates are low maintenance and backed by an incredible lifetime warranty. They are protected against manufacturer defects as well as peeling, chipping, blistering, and cracking. Call today to learn more. For each of our glass fence and gate installations in Murrieta, we offer fair prices, fast installations, quality materials, and skilled craftsmanship. Designed to deliver lasting durability, our glass fencing is made from tempered safety glass and premium vinyl frames. We custom design our glass fences to meet the exact specifications of each customer as well as applicable building codes. 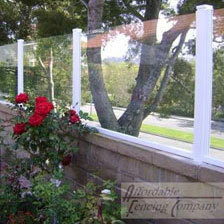 Additionally, we can etch designs in the glass and include or exclude a vinyl top rail. 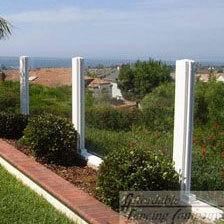 Visit us today to discuss your upcoming glass fence installation plans in Murrieta. 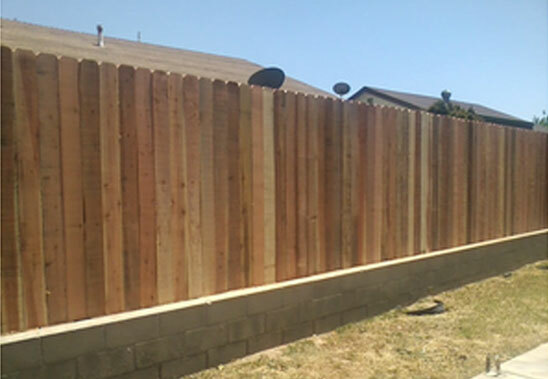 Enhance your home or business in Murrieta with a traditional wood fence. 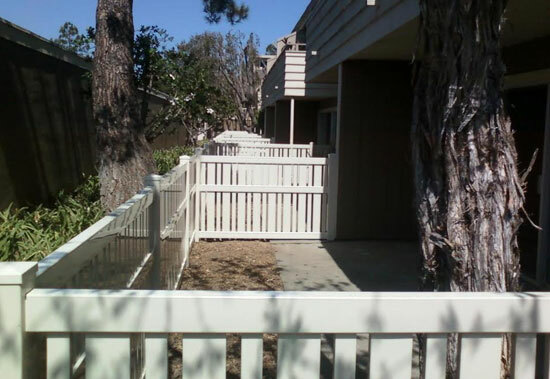 In business since 1984, Affordable Fencing company has been trusted to design, construct, and install thousands of wood fences and gates in Murrieta and surrounding Orange County areas. 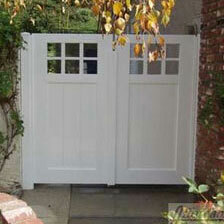 With our knowledge and skill, we are able to construct wood fences and gates of almost any size, type, or shape. 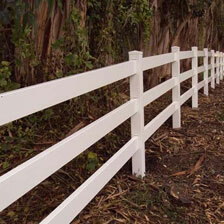 We offer cap-and-trim wood fences, dog-eared wood fences, and picket fences featuring natural, painted, or stained wood. Additionally, while most of our wood fences in Murrieta are made from redwood, we can accommodate nearly any wood species request. Call today and tell us about your wood fencing needs in Murrieta. 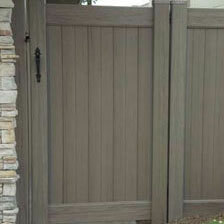 To complement our fences, we offer custom-made vinyl, aluminum, glass, and wood gates in Murrieta. We install each gate according to client specifications, and exceptional service, fast turnaround times, and fair prices. 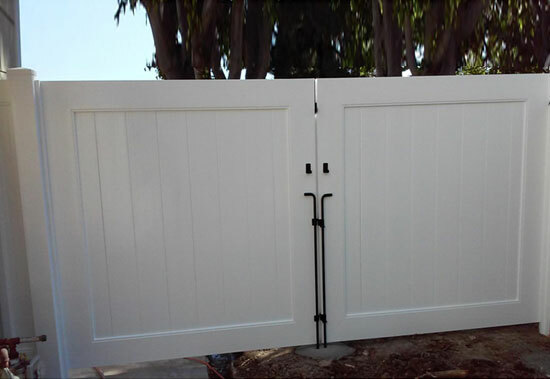 From custom vinyl gates with lattice designs to aluminum driveway gates with motorized access controls, our gates can be tailored to suit nearly any functional and/or decorative needs in Murrieta. We offer a variety of locks, deadbolts, levers, latches, handles, and other hardware, and can match any existing fence style. 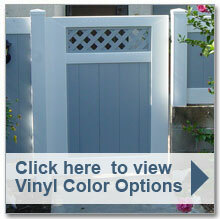 Call today and tell us how you want to customize an aluminum, glass, wood, or vinyl gate for your Murrieta property. 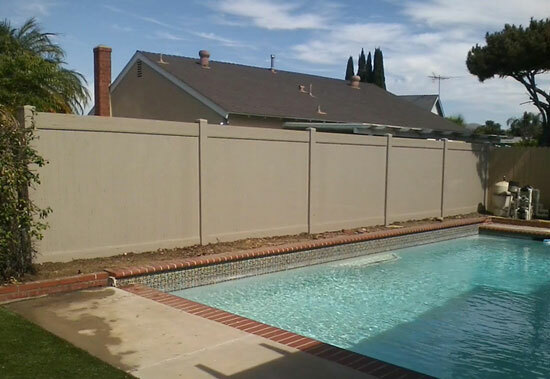 If you're looking to install a quality pool fence at your Murrieta home or business, call Affordable Fencing Company. We custom design each pool fence to meet the specific size and style preferences of our customers as well as any HOA or building code requirements. 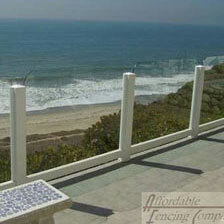 Our pool fences in Murrieta are made exclusively with quality vinyl, aluminum, and/ glass. For those made from vinyl, we offer a 50-year warranty, and those made from aluminum, a lifetime warranty.